This blog post is sooo overdue. Why? Because no day goes by when I don’t get questions about how to start a Christian Blog, create a beautiful Pinterest account or master SEO. Not that impressive for a blog that has been around for 1,5 years, at least not in the ‘real’ blogging world, where bloggers make $10.000 to $20.000 per month! But apparently it is in the Christian Blogging community and it took me a while to understand that. 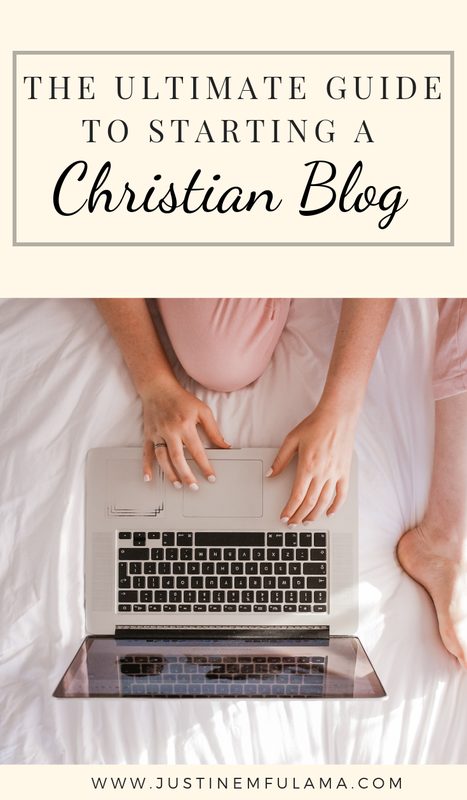 As a Christian Blogger, we all know how hard it is to blog because we have way more things to keep in mind. When I write a blog post, I don’t write it solely for the sake of making money, I write it in order to tell people about Christ and his love for them. That bears much more responsibility than simply sharing a few tips and tricks. So how did I manage to monetize my Christian Blog? Oh man, trust me it was not easy and certainly did not happen overnight. It took me exactly one year until I received my first check if we disregard the few dollars I made on Amazon. Sidenote: If anyone can give me some tips on how to monetize Amazon, I’d love to hear because one thing I’m really bad in, is integrating Amazon products in my posts. Like really bad. Anyways. I only really started monetizing my faith blog once I was accepted into Mediavine. An advertising network, that bloggers can join once their traffic hits 25k sessions within a 30 day period. Might sound easy, but it definitely is not. See, in order to hit 25.000 sessions in a month, you need to have at least 850 sessions per day. That means 850 different people need to visit your blog in one day. That is wild! For someone who was used to seeing maybe 250-300 people that sounded impossible. Now I’m well over that number and still ask myself how. But it all started with one, apparently much needed, blog post: 10 Godly Signs that ‘He Is The One’. I posted that post in June 2018 and it took off. Within a few days, I was suddenly at 1000 viewers per day and shocked. I immediately started piggybacking of the post and wrote 2/3 more posts that talked about dating and the problems single Christian women face. A topic I know quite a lot about, unfortunately. After 6 weeks I finally hit 25k session per month and applied for Mediavine. Sounds like a breakthrough story to you? Well, it’s not. Reality is by the time my first blog post took off I had already invested around $1000 into blogging material. I had purchased e-books, courses and other stuff to learn about blogging. Now here’s the thing, there is certainly the option to start a blog for free, using WordPress, Blogger or Tumblr. Sounds great at first, until you realize the constraints of the offer. When you use a free blog alternative it means that your blog website cannot have your own domain name. Instead of yourblog.com, the URL looks something like this yourblog.wordpress.com. Looks ugly and makes choosing a name pretty complicated. You cannot really make money with your blog. The ads are run by WordPress and not by you. You are not in control of what is promoted and can’t decide where they appear. In addition, you can’t use third-party ad networks like Mediavine or AdThrive. The last, but the worst thing about using a free blog alternative, is that you do not own your blog. It’s pretty much like your Facebook profile. You have a login code and password, but at any given time the provider could decide to remove your website from the world wide web. While I do understand when people with a personal blog choose that option, you definitely do not want to use a free blog host if you intend to monetize your blog. If you are serious about setting up a blog, then you want to use a self-hosted Blog. All you need for that is to choose a hosting provider, decide on a domain name and install WordPress. 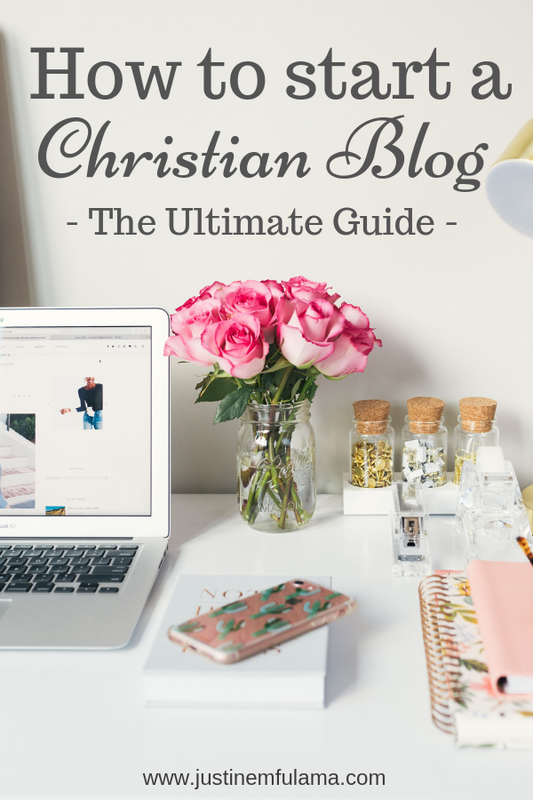 It’s super easy and I go more into detail here: ‘How to choose the best blog hosting platform for your Christian Blog’. So if you are wondering how to start a Christian Blog, read that post next. So here’s the thing I strongly believe that in order to be a Christian Blogger, you don’t actually have to exclusively blog about Christianity. Before you gather any stones, hear me out. I believe that each of our lives are our ministry, but not all of us are ministers, right? In the same way, your blog can be your ministry but be about something else than ministry. For example, if God has blessed you with an eye for aesthetics you could have a home décor blog. If you were blessed with great cooking skills, you could have a food blog and so on. Each of these blogs would talk about something else than ministry but elements of your décor or food would let people know that you are a Christian. The number one thing you need to create great content is, to present solutions to existing problems. The worst thing you can do as a blogger is to have a blog where you only talk about yourself and your experiences, without identifying or solving anybody else’s problems. Especially, as a Christian Blogger, you want to make sure that you don’t just write about yourself, but share your experiences as a PRACTICAL solution to other people’s problems. When you are able to share practical and useful content with your readers, only then will they be interested in what you have to say. But before you are able to share great content you need to decide on your blogging niche. So how do you actually find your niche? I wrote a Devotional more than a year ago that actually deals with that exact question. I highly recommend you sign up for my FREE RESOURCE LIBRARY here and download it. However, if you are lazy and don’t want to meditate on your calling as a blogger for the next five days, here is the answer. What gifts and talents has God blessed you with? To make it more clear. What are things you are good at and passionate about? If you are not sure, ask the people around you. Your mother, your friends or your co-workers might be able to tell you. Don’t make the mistake to start a blog with the sole intent to make money. It’s not going to work. I’ve tried it, believe me. When it comes to creating your Christian Blog, no matter if you blog about Christianity or not, you should choose a niche based on these 3 things. Can I use my God-given gifts and talents? Am I passionate about the niche/ topic? Will it provide an opportunity for people to learn about Christ? Number 1 and 2 are fairly simple points I believe, but number 3 might need some explaining. For example, remember when I talked about Carly’s great Pinterest e-book earlier? Carly is a mommy blogger that blogs about everything an expecting mom might need. From post-partum problems to work-from-home jobs. She is obviously passionate about it because she is a mother herself and wants to help others excel at motherhood. However, when you read some of her posts or Newsletter you will see that she doesn’t hide the fact that she is a Christian. Meaning thousands of people are willingly or unwillingly exposed to holy-spirit led content every day through Carly’s blog. So yea, I suggest you really read my 5-day devotional ‘Becoming a Christian Blogger’ if you are struggling to choose a blogging niche. It will help you to figure out how to start a Christian Blog and what to focus on. I don’t really feel like beating around the bush, so I’m just going to say it. The best way to promote your Christian Blog is with Pinterest. Not Instagram, not Facebook and not Youtube. If you don’t already have a big following on these 3 platforms I would even suggest that it might be a waste of time in the beginning. Before starting my blog, I did not even know what Pinterest really was. All I knew was that my best friend had a wedding board on it, where she stores all her dream wedding details. Lol. But once I started doing my research about blogging I was introduced into a whole world of Pinterest secrets every blogger needs to know. Including that it is the single most effective search engine if you want to drive traffic to your blog… fast. And in order to do so, you need to create a Pinterest account, learn how to design Pins and decide on a Pinteresting Strategy. I personally, decided a long time ago that I would only pin manually. Which means that I don’t use any type of Pin Scheduler like Tailwind and others. While I do have a Tailwind account that I use when I’m busy for multiple days, I would not suggest it to new bloggers. Becoming a good blogger lies in knowing and understanding your readers. What type of Pins perform the best on Pinterest? And when it is time to create seasonal blog posts? Thankfully, I learned all that in Carly’s amazing Pinteresting Strategies e-book. Which was my personal catapult to Blogging success. In it, she teaches a detailed pinning strategy for both manual and scheduled pinning. Carly herself hasn’t been blogging for that long, I believe it’s been three years, but she has optimized her pinning strategy so well, that she now makes well over 5 figures a month as a mommy blogger. In Pinteresting Strategies, she goes over seemingly very detailed information on how to create attention-grabbing Pins, master Pinterest Keyword analysis and uses Google Analytics to create multiple viral pins. She does that with a lot of width and fun and if you subscribe to her Newsletter you will quickly learn that she is a Christian. Whoop whoop. If you have been stagnant in your blogging success for a while, definitely check out Pinterest e-book here. I couldn’t call this ‘How to start a Christian Blog – The Ultimate Guide’ if I didn’t cover the most challenging topic of all, Search Engine Optimization also called SEO. SEO is the art of optimizing your blog and blog posts for the big search engines such as Google, Bing or Yahoo. The goal here is to create content that ranks (high) on those search engines and can be found by Googlers. Because people that are searching for something on Google are already looking for the content you provide and therefore highly engaged once they find the answer on your blog. These readers tend to subscribe to your newsletter, buy your products or use your affiliate links to purchase products you promote. However, SEO is one of the more challenging skills to learn when you first start out as a blogger. In order to become an SEO pro, you need to master two things, on-page SEO and off-page SEO. On-page SEO refers to everything you can do to improve your own blog. It entails things like improving site speed, optimizing keywords for your blog posts and interlinking blog posts so that readers stay on your site longer. You can find a lot of information on that online for free or take courses by successful bloggers to learn how to master it. Off-page SEO, on the other hand, is harder to figure out. Here you are required to find ways to link to your website from other domains in order to increase domain authority. Sorry another big word, feel free to read up on what domain authority is here. I’m not going to lie, I struggled with figuring out how to improve until I came across ‘Easy Backlinks for SEO’. That e-book is soo good! I hesitated for a long time before buying it, because a lot of times in the blogging world people will endorse a product just so that they can make money from their commissions. But that book truly delivered on its promise and taught me stuff I had NEVER read anywhere else. That’s when you know it was worth the money. For more information on SEO, check out ‘How to master SEO on your Christian Blog’. If you want to turn your Christian blog into an additional or primary source of income, then this is for you. The 3 main ways to monetize your blog are Advertising, Affiliate Marketing, and selling products. Each one has its pros and cons and highly depends on what type of Christian blog you have. As I mentioned before I have been with Mediavine, an advertising network, since August 2018. While Google Ads is also an advertising network that most bloggers start out with, I did too. You will soon discover that it barely pays anything. The big advertising networks, however, like Mediavine and AdThrive work with advertisers that are willing to pay top dollar for exposure to your readers. Depending on how much consistent traffic you have, this is a very lucrative source of passive income. Affiliate Marketing is when a Christian Blogger promotes third-party products and services on their blog. By using an affiliate link, a hyperlink that leads to the third-parties’ products and services, she receives a commission every time somebody makes a purchase. It’s one of the main streams of income used by bloggers and works really well for people with Mommy blogs, Interior design blogs or food blogs. Because their readers essentially are looking for the products and services the blogger used. So, yea affiliate marketing can be a great source of income but is harder for bloggers that write about faith, which falls more into the ‘lifestyle’ category. If you are having trouble to monetize your blog through affiliate marketing then I recommend Carly’s Affiliate Marketing e-book here. Products are considered the best source of income for bloggers. Why? Because they are 100% owned by the blogger, which means every cent goes into their own pocket. While they take some work to create, they can be very lucrative. Products can take on many forms. 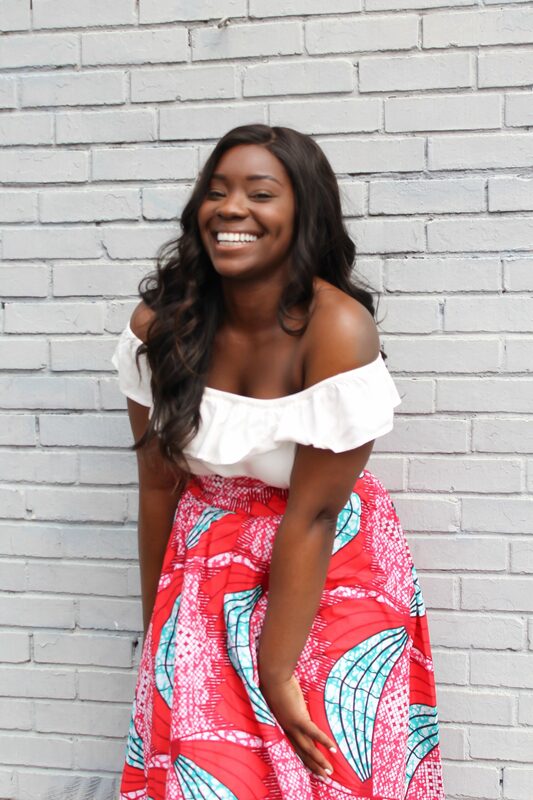 While a lot of lifestyle bloggers create physical products such as t-shirts or merchandise, educational bloggers create e-books or courses to teach their audience an expertise. It can take a while until you know what products your audience is interested and requires a lot of research. So far I only have one product: My ‘How To Overcome Loneliness’ Devotional. But I’m hoping to change that soon. Wow, more than 2,700 words later, I finally feel like I covered everything I needed to. I mean, after all, it is the ultimate guide to ‘How to start a Christian blog’! Are you looking to start a Christian Blog? Amazing! Share your niche with us in the comments BELOW! Hi Justine! Thank you for the mention in this awesome monetization post! And we’re so glad to hear you’re happy with your switch to Mediavine! We know we’re pretty darn happy to have you. As you mentioned our application threshold is 25k sessions within a 30 day period, and if your readers ever have any questions, please don’t hesitate to reach out to us at. publishers@mediavine.com. Thanks again for the shoutout! Thank you SO much for this! I can’t wait to explore this information.